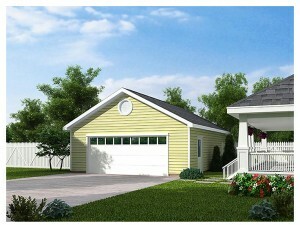 The Garage Plan Shop Blog » Will Stock Garage Plans Meet My Local Building Codes? Will Stock Garage Plans Meet My Local Building Codes? If you are thinking of building a new garage using stock blueprints, it is important to take a time to educate yourself about building codes. Each architect or residential designer puts great care into ensuring the blueprints conform to the national building code in place at the time the garage plans are created. However, this does not ensure that they will meet all of the local building codes for your area. In addition to the nationally recognized building codes, each city, county or municipality follows its own set of building regulations and codes based upon specific qualities of that area or region. It is extremely important that you contact your building official to learn more about what is required for construction in the area where you plan to build your new garage. Furthermore, it is possible that you may need to work with a residential designer, a building official, an inspector or your builder to make modifications to your garage plans ensuring they will meet additional building codes required by your geographic location. · Energy Code Compliance – A form that must be filled out verifying the materials that will be used to construct the garage are energy compliant. · Septic System Design – A diagram showing the details of the septic system. This is not necessary if your lot is served by a sanitary sewer system or the garage does not require plumbing. · Site Plan – A drawing or sketch of the lot reflecting the location and positioning of your future garage as well as locations of other structures presently situated on the lot such as a house, barn, etc. Your builder will be able to help you with this. Some areas of the United States and Canada have very strict engineering codes. Keeping this in mind, it may be necessary to hire a local engineer to review your garage plans and provide additional details, drawings and calculations required by the building department. Some examples include Northern areas with snow load and 2×6 wall framing requirements, wind load and wind strapping requirements for hurricane-risk areas along the Atlantic and Gulf coasts, and the earthquake-prone areas of California that follow seismic zoning regulations and demand additional structural elements. If you are unsure about any of the items mentioned above or have further questions about local building codes, be sure to contact your local building official for more information regarding the requirements in your area.